Some cities have charm, great history, and attractions. Others have a bunch of haunted houses, cemeteries, and legends of ghosts, vampires, and gruesome murders. Do you want to know if you live in one of the most haunted cities in the world or if you should rebook your holiday vacation? Prepare yourself with a crucifix or pentagram and explore the ten most haunted cities in the world. 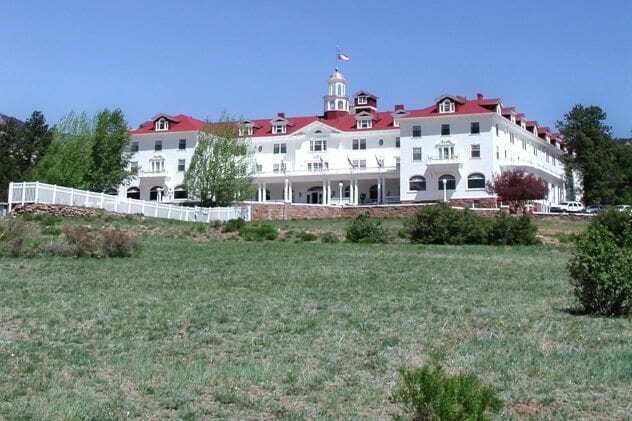 The Stanley was founded in 1909 and was Colorado’s first hotel with electricity. During a thunderstorm in 1911, the lights went out, and a chambermaid was sent to light the gaslights. A gas leak caused a massive explosion when she stepped into room 217. The woman survived and continued to work at the Stanley until her death. She is now said to haunt the hotel room. She reportedly folds visitors’ clothes and stacks them away. The city of Prague is often considered to be one of the most beautiful in Europe. Apart from beautiful architecture and a rich history, Prague also has its own collection of legends and ghosts. 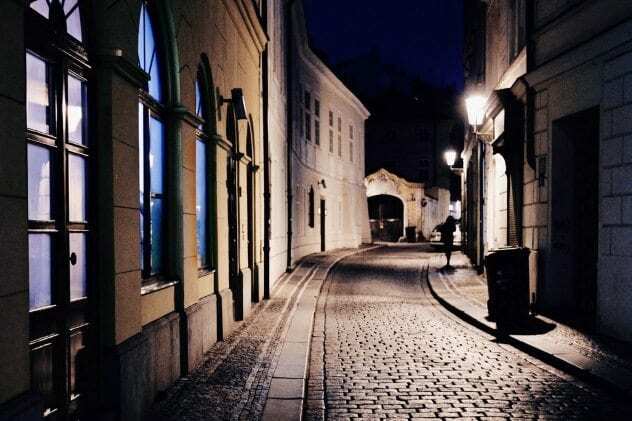 One of Prague’s most famous ghosts is the Mad Barber, a lost soul condemned to walk the streets at night. He lost his wife and went mad with grief. He slashed at passersby with his razor and was beaten to death by soldiers. The Begging Skeleton, one of Prague’s friendliest ghosts, tries to beg money from drunks. He was said to have been a beautiful and tall, but very poor, young man. A medical professor asked him if he would sell his skeleton. The young man agreed but died shortly after in a bar fight. His skeleton still roams the streets of Prague, trying to collect enough money to finally buy himself free. 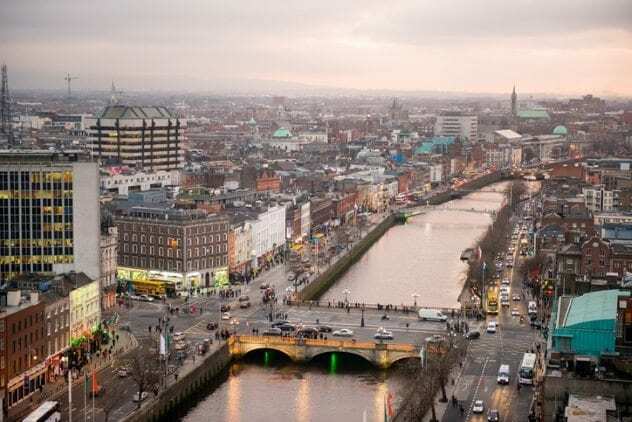 Dublin is another old city in which mysteries and spooky places abound. Not only is Connolly Station allegedly haunted by a poltergeist, but Dublin has the famous Hellfire Club as well. Originally designed as a hunting lodge for the rich, rumors of black masses and animal sacrifices soon spread. The skeleton of a dwarf was also discovered in a shallow grave just outside the club. Kavanagh’s Pub (aka Gravedigger’s), just next to Glasnevin Cemetery, is visited by the ghost of an old gentleman in tweed, who takes his drinks at the bar and then vanishes. He is said to be a former gravedigger. 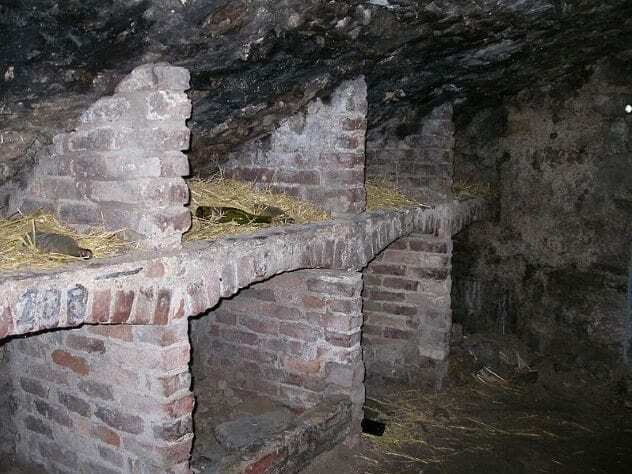 In the crypt of St. Michan’s Church, bodies have been preserved for over 800 years. Coffins are stacked all over the place, and the limbs of the dead stand in weird angles. Visitors often report whispers, voices, and cold hands grabbing them. 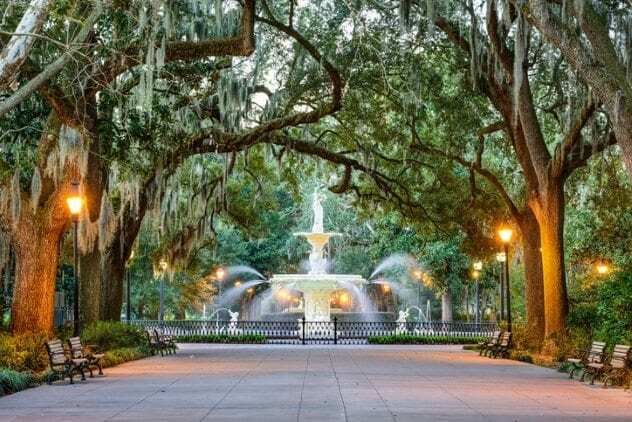 Savannah has been called “the city built upon its dead.” Houses and squares have been built over mass graves from the Revolutionary War. It’s not surprising, then, that the city has countless haunted locations. The Lucas Theatre opened in 1921, closed in 1976 (after showing The Exorcist), and reopened in 2001. During the restoration, unexplainable occurrences were noted by the workers. Applause would be heard, and tools disappeared. The Colonial Park Cemetery, opened in 1750, is said to be a regular site of Voodoo rituals. Visiting mourners found remnants from the ceremonies before the cemetery began being closed at night. 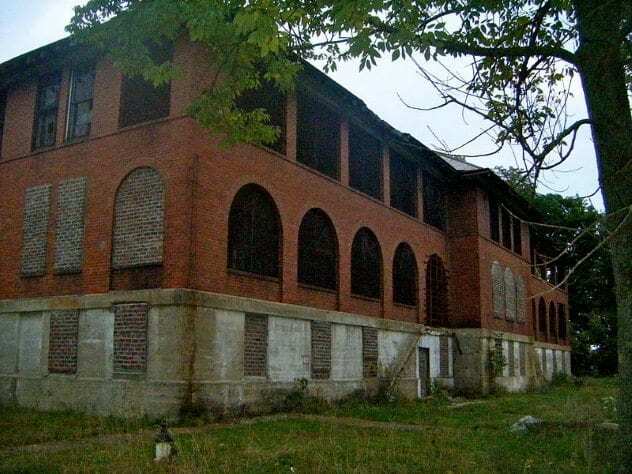 The Athens Lunatic Asylum was built in 1874 and was also known as the Ridges. Patients were treated with ice water baths, electric shocks, and lobotomies. In addition to the mentally ill, the facility housed the elderly and rebellious teenagers. The asylum also features two haunted cemeteries. One of the cemeteries’ headstones form a circle which was allegedly used by witches to perform their rites. One of the ghosts said to haunt the Ridges is Margaret Schilling, a patient who mysteriously disappeared in 1978. Her body was found a month later, and the outline of where she lay was stained into the ground. After it was removed, Margaret’s shape returned over and over again. If you think a haunted asylum and two haunted cemeteries are enough to make Athens, Ohio, a haunted city, you are mistaken. The town’s cemeteries form a pentagram, the university is said to be built on top of a Native American burial ground, and ghost towns like Mt. Nebo are everywhere. Rome has many ghost stories, and it’s no wonder why. The whole city sits on catacombs, and many gruesome things have taken place there, like the execution of Beatrice Cenci. 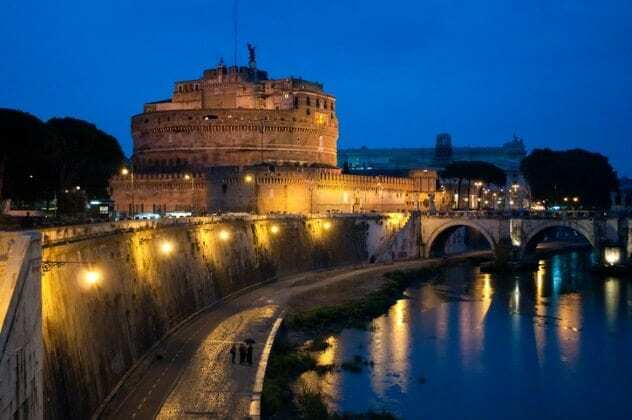 Beatrice was 22 years old when she was imprisoned in Castel Sant’Angelo for killing her abusive husband and later executed. It is said that her ghost walks Sant’Angelo Bridge every year on September 11, with her head under her arm. Paris is famous for its catacombs, but it has many more creepy places. In Le Musee des Vampires, you can visit the world’s only real vampire hunter and his finds. Or you can venture to Rue Chanoinesse to visit the ghost of the man who was the inspiration for Sweeney Todd. He was a local barber who killed his victims, boiled their bodies, and finally served their meat in patties. 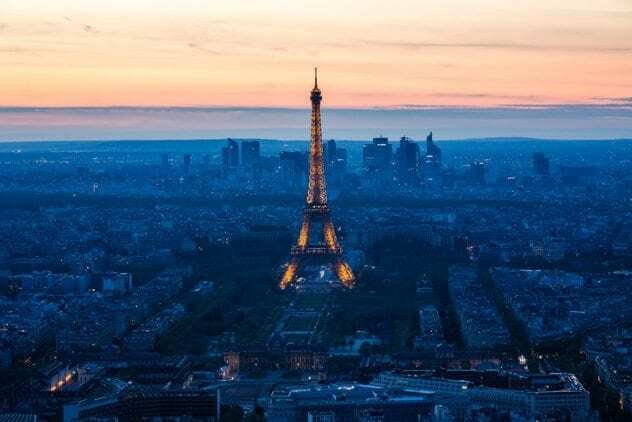 The Eiffel Tower is said to contain the ghost of a young girl who had planned to break up with her boyfriend the same night he intended to propose to her. He did so on top of the tower, and she declined. He threatened to push her from the tower, but she didn’t believe him and laughed . . . so he pushed her. Allegedly, her laughter can be heard, and her ghostly figure can be seen from time to time. The capital of Scotland has a very long and gruesome history. Look no further than the South Bridge Vaults. Built in the 18th century, the vaults were meant to house taverns and cobblers, but after a flood killed many poor souls in 1975, they were abandoned. The vaults remained forgotten until homelessness became a crime punishable by death. The poor went into the vaults, and illegal business soon spread in as well, including several brothels. The infamous body snatchers Burke and Hare reportedly hunted their victims in the vaults and sold their corpses to medical schools. Paranormal activity has become a nearly day-to-day occurrence in Edinburgh Castle. The staff has become accustomed to hearing music, footsteps, and voices. Another ghostly place is Greyfriars Kirkyard. Many famous people have been laid to rest here, and part of the cemetery is supposedly haunted by a poltergeist. Visitors strolling around the cemetery have left with bruises, scratches, and cuts. London has the reputation of being one of the most haunted capitals in the world and features countless ghost stories. For example, in 1907, a man was walking along the London Wall when a hand suddenly stretched out of the wall and blocked his passage. Shocked, he turned away for a few seconds, and when he dared to look again, he saw a man in dark clothes who walked directly into the wall and disappeared. Another prominent ghost is the Highgate Vampire. 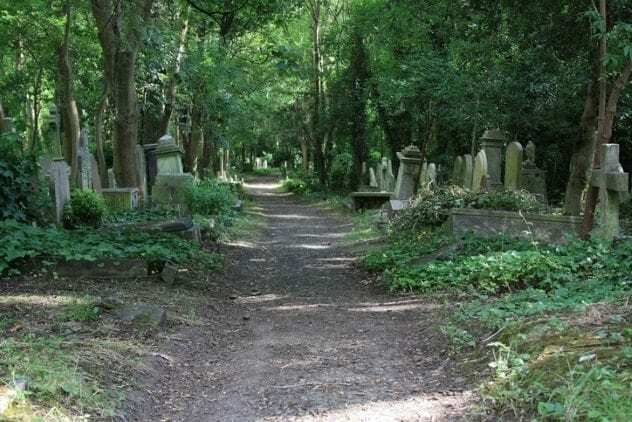 The Highgate Cemetery was abandoned in the 1960s and left to decay. In its time, it was the most fashionable place to be buried, and Victorian families tried to outdo one another with elaborate gravestones and crypts. Several reports of ghostly encounters exist, many of them concerning the Highgate Vampire. How would you react if you were walking down a dark street along the edge of the cemetery and glimpsed a dark, tall shape with gleaming red eyes behind the the gates? Enough people reported such an encounter that a vampire hunt occurred in the 1970s. It wasn’t successful. 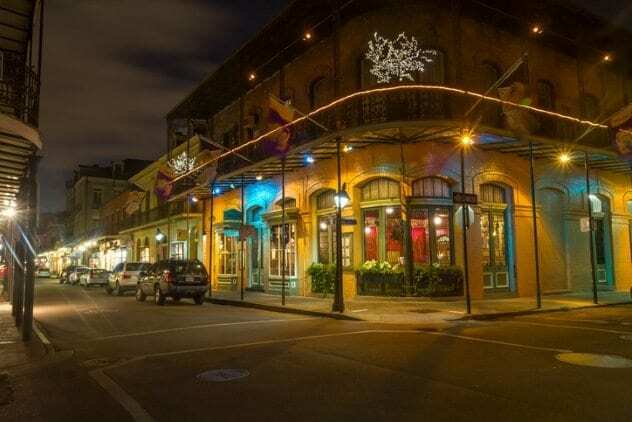 New Orleans is one of the most haunted cities in the world. Founded in 1718, it has seen more than a little bloodshed. It’s probably the only place in the world where an allegedly haunted house is actually more expensive than a normal one. New Orleans is the city of Voodoo, and Voodoo queen Marie Laveau rests in St. Louis Cemetery, the most haunted cemetery in the world. She is said to wander the cemetery on St. John’s Eve (June 23). Phantoms of yellow fever victims and fallen Civil War soldiers have been reported countless times at the cemetery. The house of Madame Delphine LaLaurie in a famous haunted mansion in the French Quarter. After a fire destroyed parts of the house, a torture chamber was discovered in the attic. Madame LaLaurie tortured slaves, cut them open alive, experimented on them, and removed body parts. Allegedly, the ghosts of the slaves still haunt the mansion. A student in Scotland. Interested in fashion, history, and everything that scares normal people.